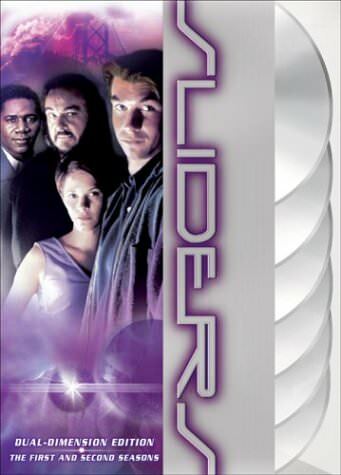 “Sliders” was a Science Fiction (Sci-Fi) TV series that aired from 1995-2000. It’s one of those “oldie, but goodie[s]” if you know what I mean. The tag line sums it up very nicely. Four people just found a gateway to another dimension, but they forgot one problem… how to get back! If you haven’t seen the show and are planning to watch it or catch-up on some episodes then you may not want to read the details below (possible spoilers)! One big annoyance that I had with the sitecom as a whole is that the worlds that the original four always slide into are the same as their original with different twists, such as communism and lack of technology. What’s funny is that their duplicates are always there as well and one of them usually holds a pretty powerful position in the alternate world…so the double takes advantage of that situation to make sure they slide to their next world safely. Another funny thing is that in alternate worlds your double may or may not exist. They would, however, never play with these cases in the stories that were released. When a character died on the show, they would never be seen again. Now that doesn’t make those worlds very alternate does it? I’ll have to say, the two worst actors on there are Rembrandt ‘Crying Man’ Brown (Cleavant Derricks) and Colin Mallory (Charlie O’Connell). At times they can be decent, but I get sick of Rembrandt Brown always having the role where they land in a world where things aren’t perfect and always asks questions like: “I have one question. How can you people blah blah blah..on this world?” like it’s any of his business and his duty to make everything perfect. Colin Mallory, Quinn’s older brother, plays a very poor role of being behind times (technologically) and he has a terrible accent. Blah. Also, it seems that the focus of the show shifts three or four times off course from the original focus in the show. The start sliding just to be the first in the world to see what happens, but then they immediately run into the problem of not being able to return home. The show follows this and runs with it for a couple seasons, but you can tell that the writers are drying up and running out of ideas. Shows start going from minor twists to enormous twists. Not that dinosaurs couldn’t rule the earth in an alternate universe, but the lack of anything that different and then all of a sudden everything is that different is just a little confusing and crappy. Then, after the crazy worlds with primitive people and animals…we got the whole Kromagg (or however it’s spelled) thing. The Kromaggs were on basically every alternate world that they slid into after they saw them the first time. Kind of stupid how they tried to save every world from the Kromaggs. Honestly, if you’re just sliding so you can get back to your own world wouldn’t you just lay back and enough each world or hunker down in the war zone worlds? I wouldn’t be wasting the time trying to save each alternate world, because they are alternate for a reason. You can’t make them all the same as your own and who says your own is better anyways? Just not very well thought out if you ask me. I would be sitting out on the beaches and hitting up the popular tourist sites and snapping pictures! Not risking my life to save a world and each time narrowly escaping into the vortex and into another world, only making it by a minute or less at times. Over all, it’s a good show from start to finish. Worth watching if you can find the time. Just don’t keep notes every time you see something that doesn’t add up or contradicts what has been previously outlined. The best thing to do is just sit back and enjoy the show! 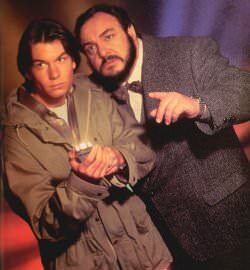 If you want to see some comments on the show by other fans who loved the show, but found that it was ruined or flawed in some way then check out this group f comments on Sliders from TV.com. 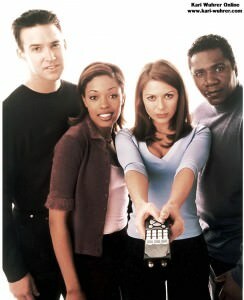 A classic scifi show for sure. But I would disagree that Rembrandt was the worst actor. As you said Colin, but also Mallory from season five tops the list. You’ll notice before long that Wade will get on your nerves too from her repeated whining. You’re correct. Wade is continually whining on the show. I had noticed it, but never really thought about home much whining she actually did until now. What do you feel was the reason that the show headed in so many different directions and apparently only to the wrong ones which forced it to be cancelled? For me, I think it was the fact that many or most of the original cast members were lost from the show and so it lost it’s once very close relationship that the pilot worked to create. It also seemed to have many inconsistencies and episode to episode seemed to be less and less related towards the end to me. One of the reasons was indeed the removal of many original cast members but a lot too was the terrible writing, especially in some of the season three episodes. They were basically movie ripoffs. One of the things I do like about the final season is that they keep reminding us that Quinn and Colin might be saved– some way even though we know deep inside they won’t. They essentially tried to salvage the show that way. I try to look at season five as Rembrandt’s world, reflecting on his lost pals. A great show till then compared to some of the shoty shows there are today. Next Next post: 11 Orgoo Invites left if anyone wants one!